Oct 1, 2018 | Hazaras and friends of Hazaras observing Oct 1st as ‘Hazara Solidarity Day’ across globe. What is Hazara Solidarity Day? Jan 10-17, 2013: Hazaras sets history with their unique peaceful protest by refusing to bury the dead bodies until government started a targeted operation against terrorists (Hazaras and Human Rights organizations have accused Pakistani government of complicity with the terrorists). The relatives silently sits with the bodies of their loved ones for over 76 hours in freezing sub-zero temperature. Civil society all over Pakistan and across the world joins hands, forcing the shameless Pakistani government to dissolve the state government in Balochistan province. 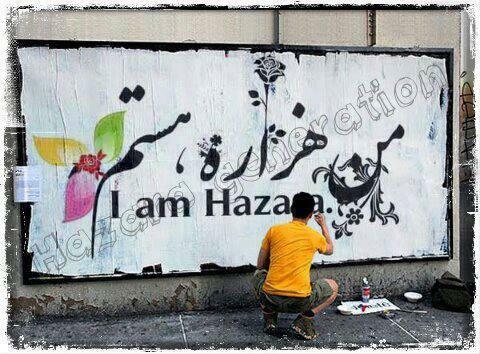 #IAmHazara #WeAreAllHazaras and similar hashtags becomes the popular theme of the protests as people around the world stands in solidarity with the Hazaras facing persecution across the globe, especially in Afghanistan and Pakistan.